Congratulations to Benjamin Firer ('15 M.M.-Orchestral Conducting), whose recorded work with the Central Pennsylvania Youth Orchestra has been awarded third place (youth orchestra division) by the American Prize. The organization sponsors a series of non-profit national competitions in the performing arts - providing cash awards, professional adjudication, and regional, national, and international recognition for the best recorded performances by ensembles and individuals each year in the United States. Administered by Hat City Music Theater, Inc., a nonprofit organization based in Connecticut, the American Prize was founded in 2009 and is awarded annually. Benjamin Firer is currently in his second season as music director and conductor of the Central Pennsylvania Youth Orchestras and the Juniata College Orchestra. He also directs the Penn State Campus Orchestra and serves as assistant conductor of the Penn State Philharmonic Orchestra and Chamber Orchestra under the direction of Maestro Gerardo Edelstein. He holds a master’s degree from the Yale University School of Music where he was conductor of the Yale Saybrook College Orchestra and served as teaching assistant for graduate music theory courses. As a trombonist, Benjamin was the winner of the 2012 Woolsey Concerto Competition, the 2011 Yale Chamber Music Competition, and a fellow at the Norfolk Chamber Music Festival. As founder of the Aries Chamber Ensemble, he was awarded the 2010 SUNY Thayer Fellowship in the Arts. Other conducting experiences include guest conducting at the National Music Festival, New Music New Haven and the Lake George Music Festival. 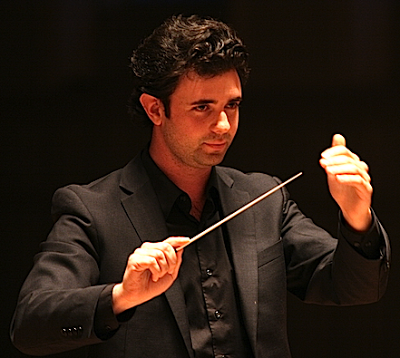 Benjamin was chosen as assistant conductor of l’Orchestra de la Francophonie in Montreal, Quebec in summer 2014, where he assisted Jean-Philippe Tremblay for six weeks of of orchestral concerts including a residency at Le Domaine Forget.